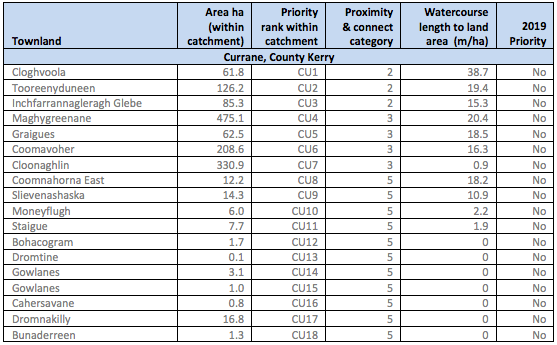 There are eight river catchments selected for the Pearl Mussel Project. 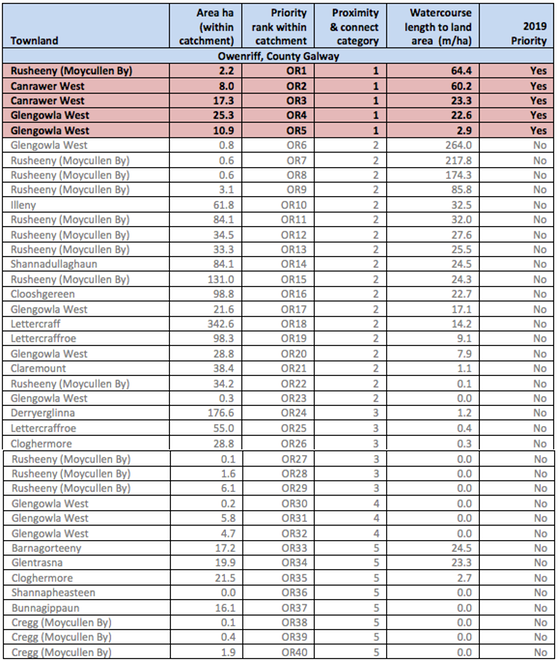 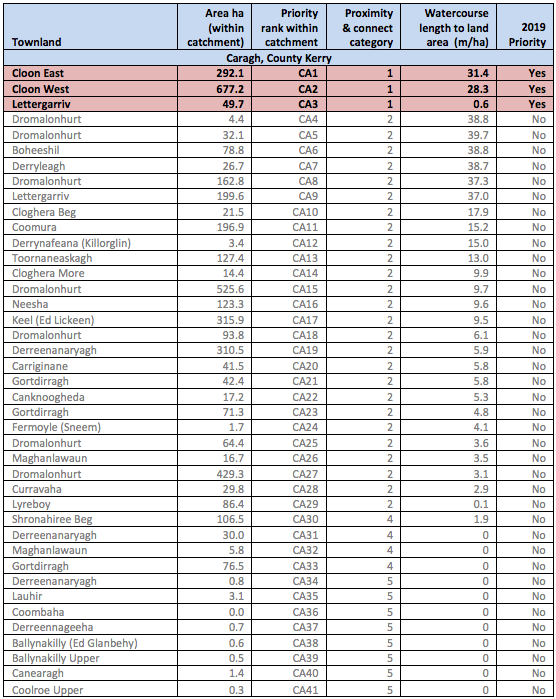 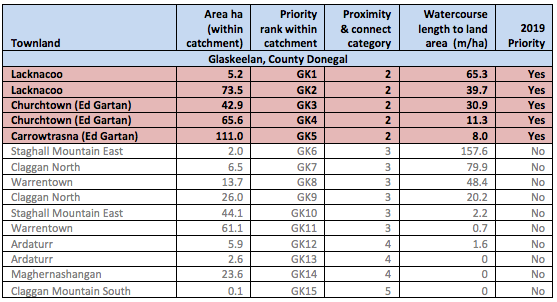 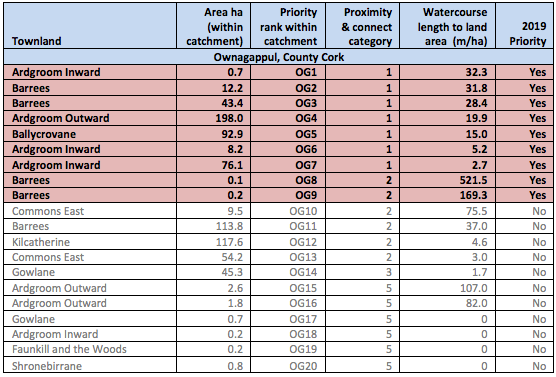 The lists displayed below show the Commonage lands within each catchment and those selected as Priority Commonage areas (highlighted in red) for the Pearl Mussel Programme. 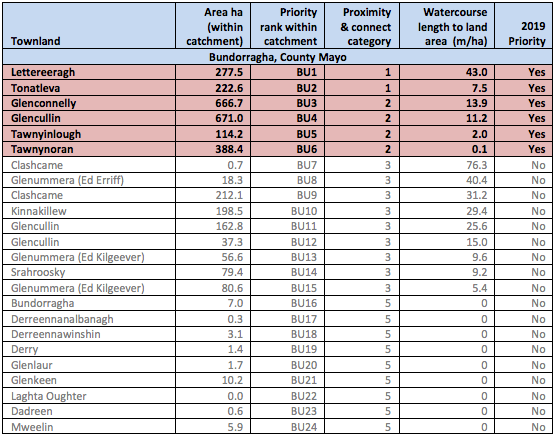 A map of the Priority Commonage lands can be viewed here. 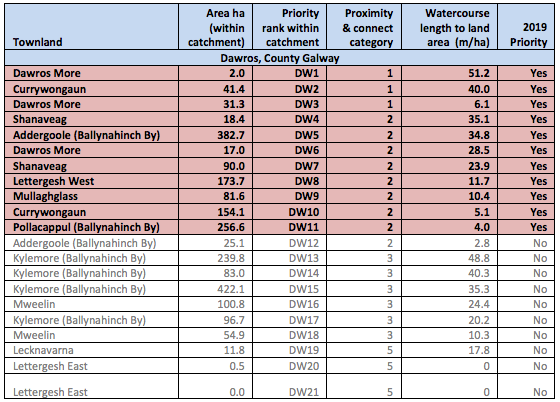 Further information on the selection process for Priority Commonages can be found here.